Steve and Lindsay were both impacted by the ministry of Campus Outreach and through discipleship during their time in college where they grew in a deeper understanding of God’s saving grace in the gospel and gained conviction of wanting others to know this good news of salvation. Steve went on staff with Campus Outreach in 2011. After getting married in November of 2012, Lindsay joined Steve on staff where they both ministered to students in Minneapolis, MN. 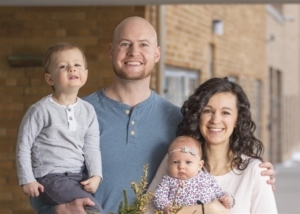 Steve and Lindsay, along with their son, Lewis, are enjoying being a part of the team in Sheffield, England and are excited to continue to bring the gospel message to University students and see lives transformed through Jesus Christ.